This sounds like just what everyone needs – a Maldivian holiday with a range of new spa and wellness treatments to start 2019 with a healthy glow, both inside and out. Anantara Kihavah is offering guests the perfect relaxing holiday with the introduction of their new wellness offerings. 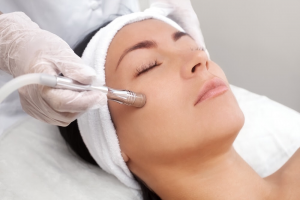 Including brand new Ayurvedyic programs ranging from 3 – 7 days, new medical spa treatments from Vitamin IV Infusion shots for an energy boost after a long flight, to Dermapen Needling by expert practitioners if guests wish to turn back time and erase scars and fine lines. 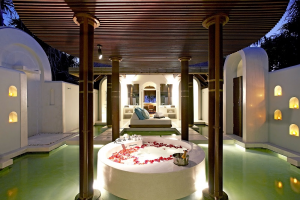 A brand new Deluxe Spa Pool Villa – the first of its kind in the Maldives – has also launched at Anantara Kihavah, offering travellers the ultimate relaxation spa experience. With a dedicated spa therapist and unlimited daily spa treatments from 10am – 10pm – everything is provided in the comfort of your own private villa. Actually why wait until 2019 this is what everyone needs to finish off 2018! !